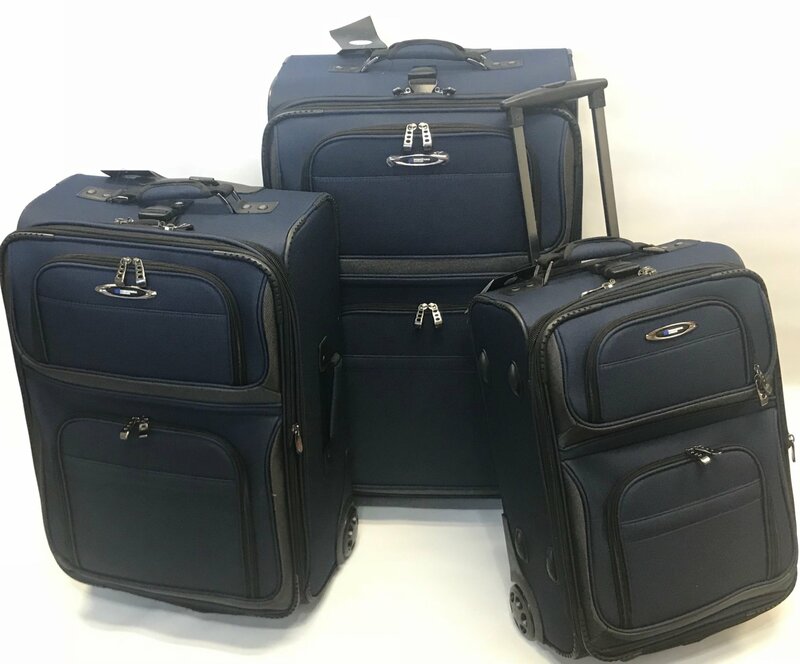 Domestic Travel Rocky Mountain Series 3 pc Set Navy 1200 Denier polyester Luggage comes with a *12 month "Pull Handle, Wheels and Zipper Warranty!" Perfect for domestic US travel! International Luggage gives you confidence to travel with your luggage knowing that any functional damage will be repaired FREE of Charge for a *FULL 12 months on Pull Handle, Wheels and Zippers! Built by International Luggage. • 24 month "Pull Handle, Wheels and Zipper Warranty!" Learn How to Choose The Best Luggage! Learn How To Pack On a Carry-On for 14 Days!